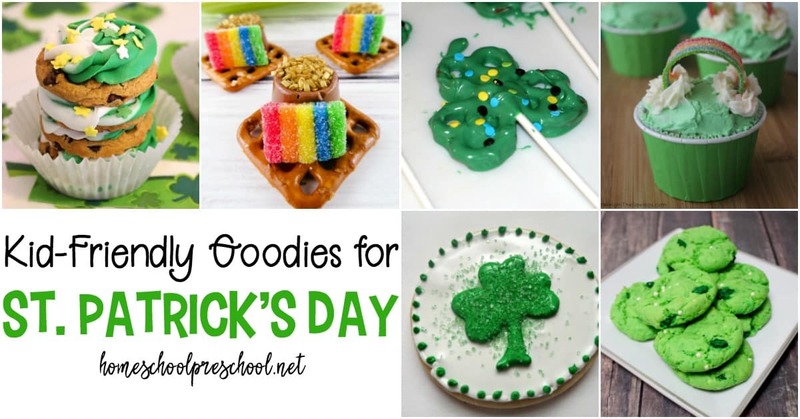 If you love to celebrate the holidays – St. Patrick’s Day to be specific – you’re going to love these St. Patrick’s Day snacks and treats. 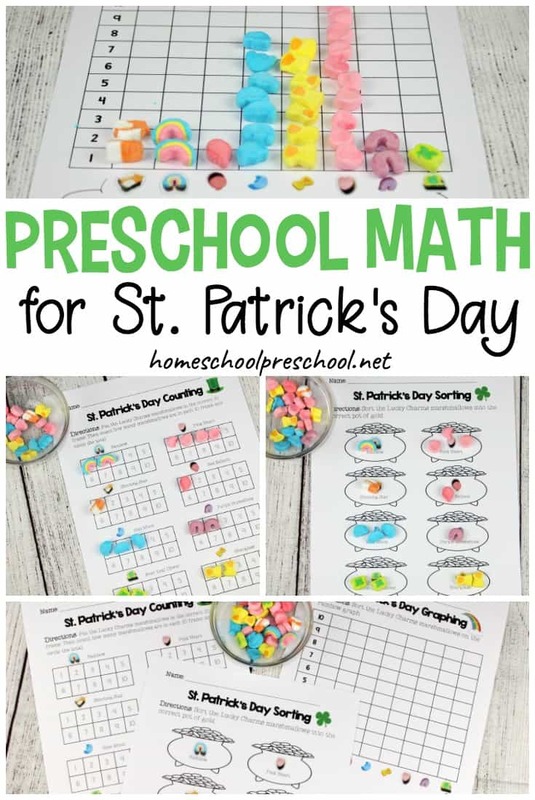 Your preschoolers will love helping you make them. And then, of course, they’ll help you eat them! Chocolate-covered pretzels are always a hit. Turn ordinary pretzels into chocolate-covered shamrock pretzel pops in no time. These pots of gold pretzel treats are easy enough for kids to make themselves. 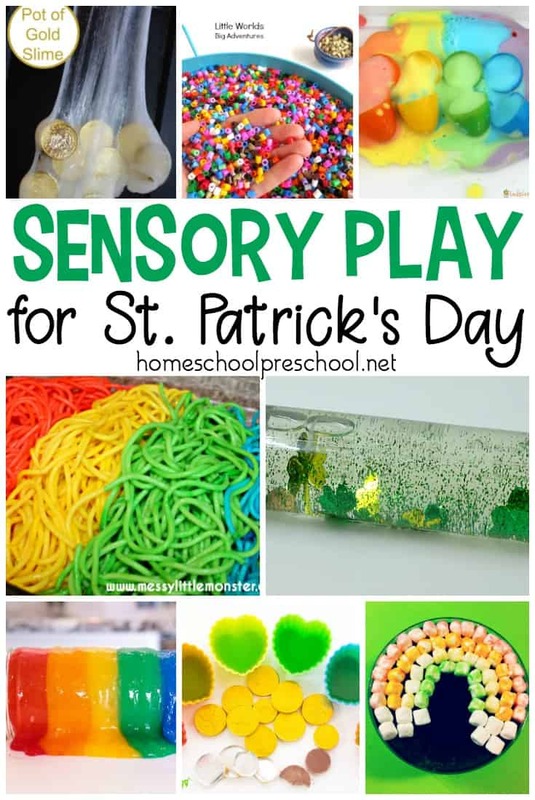 They can also be used as a treat for Rainbow Week in your preschool. I’ve never made whoopie pies, but I may just have to give them a try. These green whoopie pies are perfect for St. Patrick’s Day. Kids will love helping you mix and decorate these shamrock sugar cookies for St. Patrick’s Day. Fill your cupcakes with a fun little marshmallow surprise that your kids are sure to love. These marshmallow-filled Lucky Charms cupcakes are simple but tasty. Forget the cupcakes! Try these St. Patrick’s Day cookie stacks. What’s not to love about layers of icing, cookies, and sprinkles? 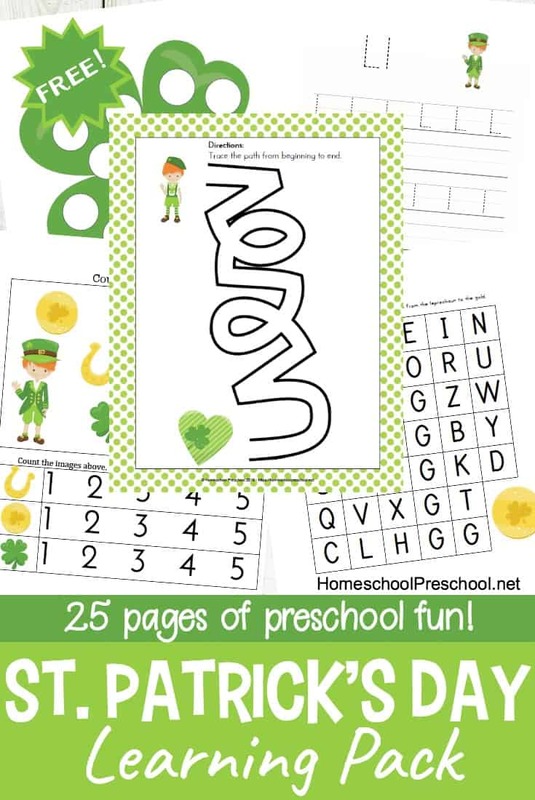 Start the day with this easy shamrock pancake craft/recipe. This treat is sure to fill your little leprechaun’s belly and get his day started on a good note. This rainbow fruit snack is a healthy treat for little ones. It’s perfect for class parties as it can be passed out easily and is quick and easy to make. These St. Patty’s pops are another healthy treat your kids will enjoy! Layers of fresh fruit and yogurt freeze will to create tasty popsicles. Shamrock pretzel bites are easy enough for kids to make and tasty enough that you’ll have a hard time keeping the kids out of them. We’ve made rainbow cupcakes in the past. They take a little more time to prepare, but the results are well worth the time investment. Rainbow painted toast is a fun, edible art activity that makes a great snack or breakfast treat on St. Patrick’s Day or any day. Whip up some rainbow trail mix, and you’ve got a super simple snack to munch on this St. Patrick’s Day. St. Patrick’s Day candy coated pretzel rods are easy enough for kids to make. With only three ingredients you can whip these up in no time. 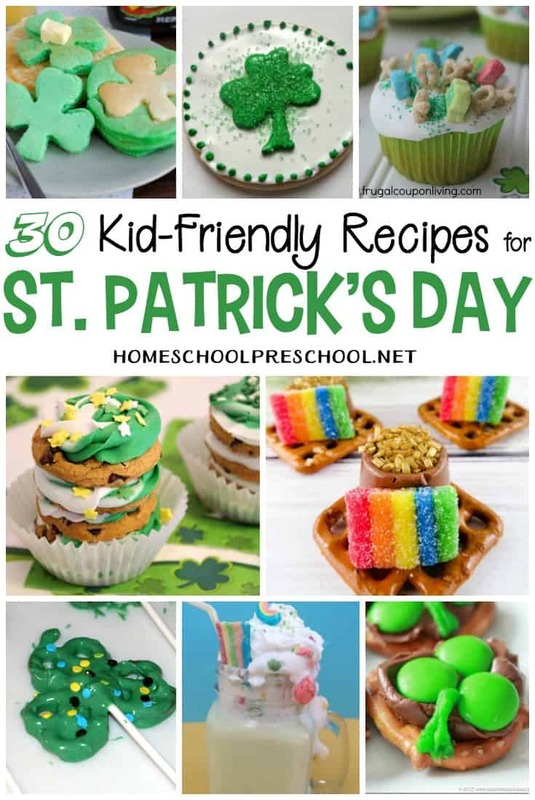 Fill some homemade cupcakes with a hidden leprechaun treasure when you and the kids make some St. Patrick’s Day Leprechaun Treasure Cupcakes. My kids would get a huge kick out of these Lucky Leprechaun Poop treats! These easy to make St. Patrick’s Day chocolate covered Oreos make the perfect treat to eat as you celebrate st. Patty’s Day this year. Today is a great day to make a batch of super easy St. Patrick’s Day cookies! They’re festive and easy to make. S’mores are great any time of year. Kids will love this fun twist on s’mores when you make a batch of St. Patrick’s Day s’mores – featuring Lucky Charms! You won’t believe what you’ll use to make leprechaun magic dust. Sprinkle it on some yogurt for a tasty afternoon treat. With just 5 ingredients, you and your preschoolers can mix up a quick batch of mint chocolate fudge for the holiday. I love how poke cakes become so flavor-infused with whatever you pour over the top of them. These Rainbow Poke Cupcakes are tasty and festive infused with lime gelatin and decorated with rainbow candy. St. Patrick’s Day Shamrock Bark requires only three ingredients. It’s super easy to make and the kids will eat it up! How will you ever decide which of these tasty St Patricks Day goodies?